Pro and anti-independence supporters have held more protests in Catalonia. In Barcelona, a few hundred Spanish loyalists hit the city’s streets late on Wednesday night, while pro-separatist rallies also took place in the Catalan capital. The demonstrations came just hours after the leader of the north eastern region attacked Spain’s King Felipe on TV. 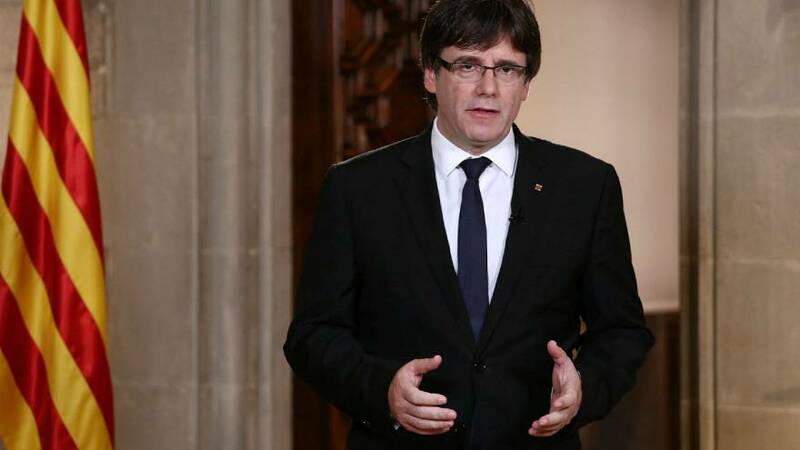 Laying into the monarch, Carles Puigdemont accused Felipe the sixth of deliberately ignoring millions of Catalans and adopting the position of the government in Madrid. “The king has defended the speech and policies of Mariano Rajoy’s government, which have been catastrophic for Catalonia and he ignores deliberately the millions of Catalans who do not think the same way. I would like to address your Majesty directly, in the language that he understands, knows, and speaks,’‘ Puigdemont said. While Prime Minister Mariano Rajoy has held talks with Spain’s opposition leaders at the national level, he has so far refused to talk to Catalonia’s leaders, saying they must first respect the law. But the Catalan president has vowed to declare independence in the next few days. Earlier on Wednesday, the governing body of Catalonia’s regional parliament met to decide when to call a parliamentary session to discuss the result of Sunday’s banned referendum which saw hundreds of people hurt after police tried to halt the vote by storming polling stations.